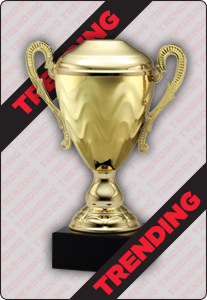 This striking soccer trophy will sure to be a favorite amongst your team. Standing at 7.25” including the base, the Figure Trophy Series – Soccer trophy features a collection of shooting stars emanating from a soccer ball shield. Each trophy is able to be engraved so you can personalize each award to your particular team members.